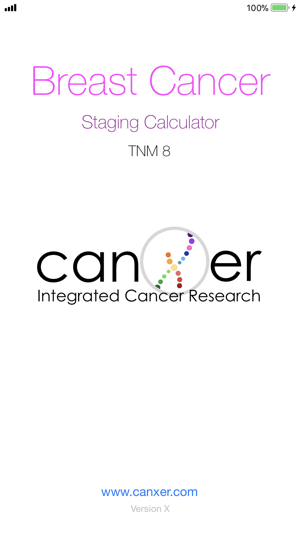 Generate a patient's overall anatomic and prognostic stage -simply and easily using the TNM 8 staging criteria. 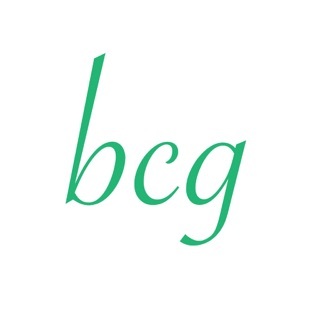 Perfect for physicians, surgeons, radiologists, physician assistants, nurses, medical students, trial managers, research and any healthcare professional in the field of breast cancer. 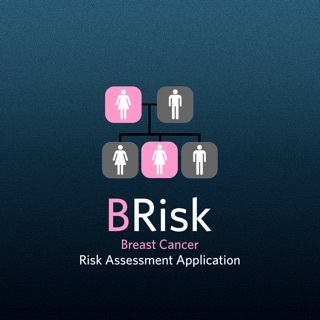 The App also allows users to email the breast cancer stage to colleagues and patients. 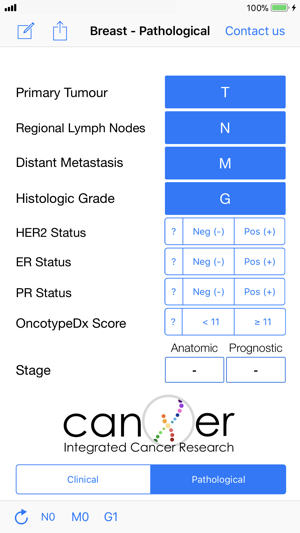 In addition to the TNM staging criteria, the Breast Cancer Staging calculator allows users to generate the overall prognostic stage using: HER2 status, ER status, PR status and the OncotypeDx Recurrence Score©. 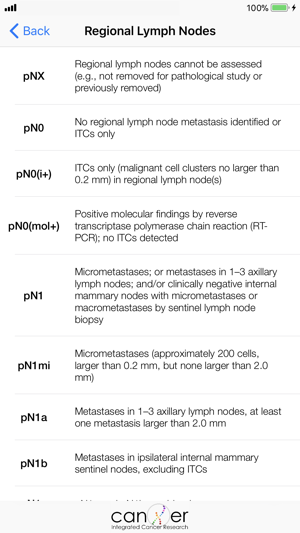 Definitions based on the AJCC Cancer Staging Manual - Eighth Edition. 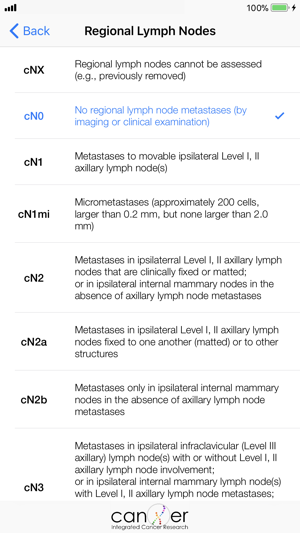 ©App is copyright of Integrated Cancer Research Limited. Definitions are copyright of the AJCC and are used with permission of the American College of Surgeons, Chicago, Illinois. 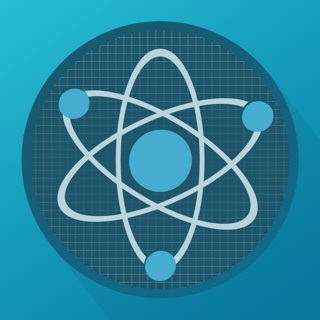 The very first app of its kind. 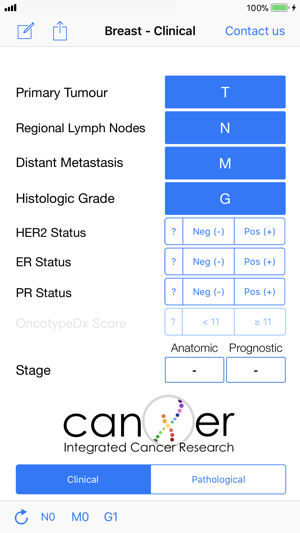 Sad app doesn’t do what it should for example if you clock HER+ it still asks for oncotype score even though an oncotype is never sent in HER+. 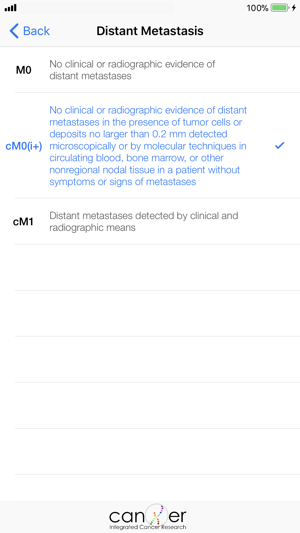 Based on your feedback, if a patient presented with M1 involvement you would expect the app to remove all other staging fields (T, N, G...) as they have no impact on the staging? You've left a negative review in attempts to prevent users from seeing OncotypeDx, not because the app doesn't work.